Firstly, on behalf of the union I would like to congratulate you and your colleagues for your tremendous solidarity and resolve during this dispute. As you are aware, the union went into talks with Arriva Rail North to try and find a resolution to this dispute. Unfortunately, rather than entering into the talks with an open mind, the company did their upmost to hinder any discussions on resolving this dispute and ultimately collapsed talks at ACAS. The company showed a complete disregard for any compromise and refused to move from their position of a 100% Driver Only Operation across their network. This is despite the best efforts of the union’s negotiating team, who have moved considerably to offer not just conventional working (Conductor with full door operational control) but also intermediate working (Driver with control of the door release once it is safely stationary and the Guard carrying out safety checks for train dispatch and close the doors) as agreeable options. It is clear that once again the company will only discuss retaining a second person if the operational requirement of the doors is passed to the driver. This position goes completely against union policy and the guard guarantee. Arriva Rail North has entered into these talks without any genuine commitment to resolving this dispute, despite their attempts at asking us to call off industrial action to agree on a position that is totally unacceptable. This is compounded by the fact that the company would have to approach the DfT to seek an alteration to their agreed contract. To make matters worse, the company has once again shown this union utter contempt. Whilst your negotiating team has behaved in a professional and respectable manner, the company’s management and negotiating team have acted abhorrently. During the two days of discussions the company’s negotiating team could not even be bothered to meet our representatives on the second day, which only highlights their clear lack of commitment in resolving this dispute. Furthermore, the NEC has instructed me to utilise all possible resources at our disposal, such as RMT TV. 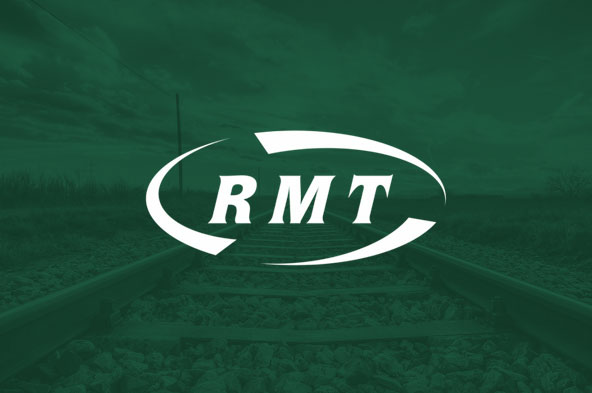 As always, the union are readily available for meaningful discussions to discuss this dispute and are ready to talk with either Arriva Rail North or the DfT or both. The union wants this dispute resolved with a Guard guaranteed, with full safety competencies and a safe and secure railway for everyone. I urge you all to continue with your unbelievable support and solidarity. The company will continue with their tactics of trying to divide the workforce and each time management have tried to do this they have failed. We remain 100% committed and determined in our fight and I know you and your colleagues will continue with your tremendous unity. Our principled stance has not gone unnoticed and the public are fully behind our campaign whilst also seeing through managements petulant tactics. I once again thank you all for your determination throughout this dispute. Together we can ensure that a second safety critical member of staff remains on all ARN services.